Heaven on their minds - Jesus Christ Superstar is at MK Theatre until Saturday. The original production of Jesus Christ Superstar was performed to audiences in 1971, but this latest offering of the Andrew Lloyd Webber musical is far from dated, with a fantastic range of uplifting songs. An impressive set graced the stage, inspiring an overwhelming feeling of biblical resonance. 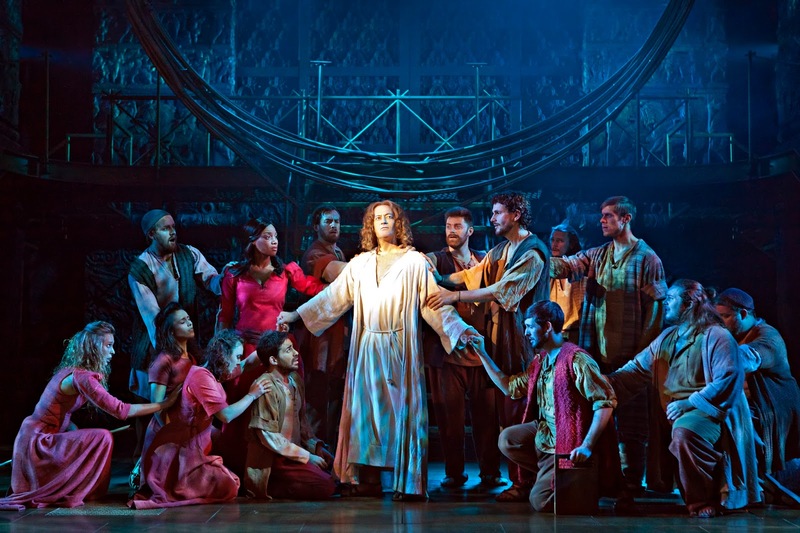 Jesus, as played by Glenn Carter, wasn't quite the inspirational and charismatic figure I had imagined. Perhaps because he knew his life was coming to an end, we saw a weary interpretation of him. Glen was certainly presenting the last few days of Jesus as a man who was accepting his fate. The stand-in for Judas (Tim Oxbrow) took a little while to settle into his part, but eventually his outstanding voice cheered the audience. Mary Magdalene (X-Factor finalist Rachel Adedeji) was competent enough but there was a distinct lack of chemistry between Jesus and Mary despite some of the most beautiful songs in the show (I Don`t Know How To Love Him). The best performances has to be Jesus' followers, who doubled up with many parts. They were energetic and enthusiastic, truly creating a 1970s-style rock musical. Kristofer Harding (Simon) was brilliant too, commanding a presence on the stage that engaged the audience. Other mentions must go to Tom Gilling (Herod) and Edward Handoll (Peter).